It’s that time of year again. Set goals not resolutions. History shows that resolutions are made to be broken, but goals endure and give you a dream to focus on. Yes! Please Send Me My Free 2018 Visioneering E-Book! Before the new year begins, decide what you want. By setting goals, you shape your future in advance. It’s amazing how many people think about and set new year’s resolutions, yet don’t take the time to stop and think about what they want for themselves in the new year. Goals allow us to grow and expand while drawing us to success. 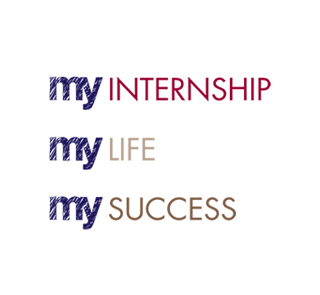 A Yale study of the graduating class of 1953 who set goals showed that 20 years later, the 3% who set and stayed focused on their goals, were the happiest, most fulfilled and financially successful individuals within their graduating class. Why do goals work and how can you effectively set them for yourself? 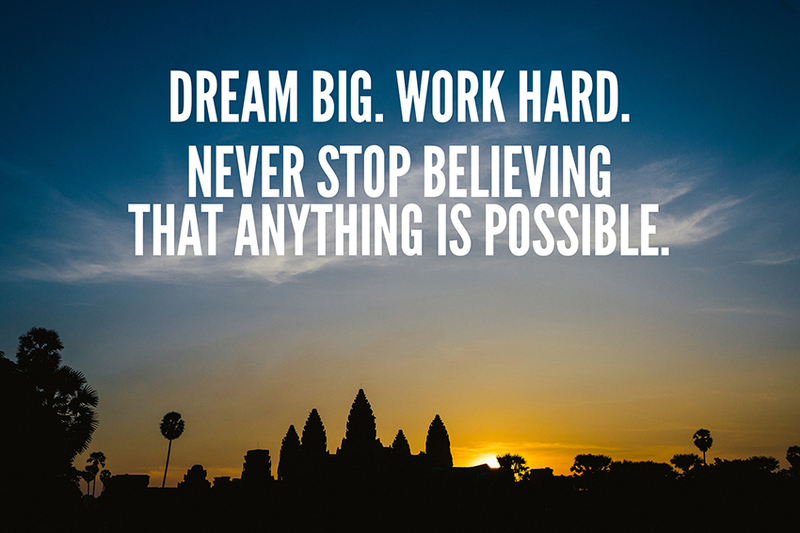 Follow these tried and true steps to achieve anything you want in your life. Goals require consistent focus. When you focus on something you want to have, be or experience; you must focus on that goal. Write it down, read it morning, noon and night. Write your key goals on index cards and review them throughout the day when you take a break. This keeps them in the forefront of your consciousness. Make your goals so real that it feels like you already have them. Take time to visualize what it feels like having the relationship, the freedom or money to travel where you want, when you want; or whatever your goals are. Take a few minutes to shut your eyes and emotionally feel the satisfaction of having whatever those important things are that light you up. Dreaming without action is only a wish. 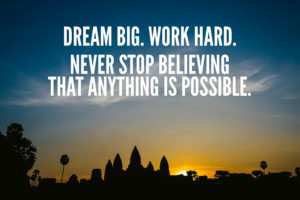 In order to achieve your goals you must be crystal clear on what you want, visualize achieving your goals, and be so motivated that you’ll do whatever it takes to stay in action toward what you want. Financial goals are obvious, but it’s wise to set short-term and long-term financial goals. Maybe there’s something you’re wanting to get but haven’t set a clear path to get it. By writing down what you envision and want for yourself in both the short and long-term, you’ll have a roadmap to get there. It’s also a good idea to look back on spending patterns of the past year as you go into the next 12 months. You may be surprised when you break your spending down into categories of groceries, utilities, clothing, Starbucks – oh, yeah Starbucks. You may be surprised to see where money goes if you don’t watch where you’re spending it diligently. We all have ‘things’ that we’d like to get or have. Many times they can be simple, yet unless we prioritize them, they likely won’t become a priority. For myself, I’ve been saying that I want to get both an Indian Flute and a Tenor Saxophone. One I naturally can play just by putting the instrument to my mouth. The other I took lessons for years and love to play as well. I recently bought a twirling baton. As a former majorette for the marching band in high school and college, it’s one of those things from my youth that conjures up good, happy memories. The great thing is that it’s great exercise and I still twirl like I did in college and high school. What are those things that make your heart sing? I’m sure you’ve got some simple things that make you happy just at the thought of putting them on your ‘things’ list. It could be painting, drawing, sewing, wood carving, music, or myriad things. Dream and let yourself play like you did as a child. It’s what keeps us in touch with our youth. The reality is, in my belief system, I’m a spiritual being having a physical experience. Staying in alignment with my higher self, and my higher power or God as I call it; is vital to my happiness and feeling grounded. I’ve started a ritual of listening to guided meditations daily on an amazing free app called Insight Timer. I listen to a guided relaxation meditation every night as I fall asleep and frequently listen to a positive affirmation meditation upon waking. This quiet and sacred space allows me to explore different parts of my spirituality and awareness, while learning new things from other highly spiritual people. Setting an intention to stay grounded, humble, and connected to myself and my higher power through conscious prayer and meditation is necessary in the hustle and distractions of life. Goals for your relationships can cover everything from family to friends, spouse, lover or significant other; children, co-workers, and everything in between. I look at my life like a series of circles, with those closest to me in the inner ring. I set conscious goals to have healthy, loving, authentic relationships with those closest to me, whomever those people may be. This involves making commitments to spend time, keep communication open, express my feelings authentically, and give of myself in ways that are meaningful to them. Goals for other relationships in our lives outside that closest inner circle can include friends, special people who have a special place in our lives, and anyone else who is closer than a co-worker or associate; yet not as close as a spouse or best friend. The important thing to remember about relationships is that they are like flowers or a plant, if you ignore them they will dry or wither and die. Watering them with attention, care and love ensures that those relationships that fuel our lives, are healthy and nurturing to the other parts of our lives. It was easy to take physical goals for granted earlier in life. While I’ve always been athletic, making an effort to think and take steps proactively to ensure I am focused on physical vitality and health is more important than ever. I set fitness goals for the number of times I will physically exercise whether it’s the gym or yoga, per week. Setting an every other day goal seems doable and not overwhelming with my busy schedule. Just as people who set new years resolutions to ‘work out every day,’ tend to break their ‘resolution’ within days of setting it; I’m more comfortable setting a goal that is achievable without feeling it’s pushing me over the edge. I also set nutrition goals within my physical goals. Knowing that muscle retention is an area that anyone 45 and over must be conscious of, I’ve incorporated BCAAs into my daily nutrition ritual because they add a muscle retention component along with amino acids into my nutrition regimen. I also use vegetable protein and a scoop of green nutrition in a morning smoothie every day to ensure that I’m getting nutrition and not just calories. I’m big into ‘experiences’ over things. I’ve traveled to and have lived in many of the places I envisioned visiting, when growing up. Last year I spent almost a month working and living in Barbados mid-February to mid-March. I also spent time in Southern California, Florida, New York City, and in more spiritual places like Sedona, AZ, and rustic places like Strawberry and Pine, AZ. I like to set goals toward visiting places I’ve not been that are inspirational for me to dream about. I’m a big frequent flyer mile person, and a smart traveler; having traveled hundreds of thousands of miles throughout my career in various parts of the world. When you set goals for experiences, they can be travel related, or entertainment, event, cooking, or any experience you envision as a fulfilling and rewarding experience you would like to have in the coming year. We all have a need to give back or contribute to something bigger than ourselves. The intrinsic value and reward that we feel in giving to others far surpasses whatever energy or time you may give of yourself. I started proactively giving back in several ways years ago. Today the more meaningful ways that I choose to give back involve being a teen leader at my spiritual place of worship. I spent a good part of the year last year, giving of my time every weekend loving on the babies in the nursery, with my little 9-year old granddaughter. She’s a baby lover, so it didn’t take much to get me engaged and on board. The best part of that experience is that while I gave parents a break to be together and experience an adult experience of worshiping together, I got to give the little cherubs back at the end of the service. When the rules were changed for the age allowed in the nursery, and my little granddaughter was no longer able to serve, it was an easy transition for me to shift to the older teens. Giving back in ways that value others is one of the most rewarding things I do every day and every week. I’m also a part of the prayer team at my spiritual place of worship. I’ve had the honor of praying with many people and being touched by their trust in me being with them in a sacred space to call upon a higher power to work in their lives. Even if you’re not sure what your ‘doing good’ goals should or could be, as long as you’re open to discovering them, the Universe will conspire to help you. As you go into 2018, and every part of each year, I encourage you to have goals and dreams that you are shooting for. Regardless of our age or place in life, there are things that we can strive for and achieve at any age and any place in life. The only limits are the ones we place on ourselves. Here’s to your best year yet! Finding your first job out of college can be both exciting and a bit overwhelming. As I’m sure you’re aware, companies look for candidates that have some practical on-the-job experience when interviewing and hiring. An internship is the perfect way to get some hands-on experience. The following are suggested steps that you can take to leverage the effort you are putting into an internship. You’ll also find some post-internship insights on how to parlay an internship into a well-negotiated opportunity toward the end. Get clarity on your role and come up with a good title for your interim assignment. Your role during your internship isn’t to make copies or make Starbucks runs for everyone. Discuss your goals for your internship with the person you are reporting to. If they don’t have a plan for your internship, suggest that you create a draft that can be reviewed between the two of you. You want to make sure that you’ve got a roadmap, and aren’t relying on your manager to give you guidance every day. It also prevents you from sitting idle wondering what to do, while ensuring you get to do some meaningful projects and work. You need to realize that whomever you are reporting to during your internship has a full-time job and you are an additional responsibility for them to oversee. While they may be appreciative of you being there, proactively stay engaged and offer your assistance. Autonomy is a good thing when fulfilling an internship, versus needing guidance every step of the way. If you are able to take on more, speak up and let your manager know. The intent of companies bringing interns into the mix can be two-fold. They get additional resources to further work that needs to get done, and gives them an opportunity to ‘test-drive’ and find new talent before committing to a full-time role with you. Once you are getting close to the end of your internship, you ideally have done a great job with the projects you were assigned. If everything went well, you can do two things. First, you can ask for a reference from your reporting manager. If it’s positive and something you’d want others to see online, you can ask if they will also put it on LinkedIn. Second, you can discuss their plans or needs for filling this role, and what you can do to ensure you are considered. That allows you to get a sense whether this was strictly an internship, or whether the opportunity exists to come back in a full-time capacity once you graduate. This of course makes the assumption that you want to come back as an employee versus an intern. 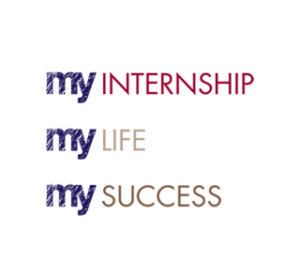 Internships allow you to rule out specific areas of work that you have no interest in pursuing once you graduate. They also help you get clear on roles that you are particularly interested in. The opportunity to experience different company cultures is also important. No two companies are alike, so get to know the people around you and make sure it’s somewhere you’d want to call ‘home’ for a while if the opportunity presents itself. Internships are wonderful opportunities to get some practical work experience and test various roles within your area of study. You also get exposed to various companies, team environments, and leadership styles. What works for one person, may not work for another. We are all unique and based upon our backgrounds, expectations and experience; have a vision of our future endeavors once we graduate. I remember graduating and saying ‘I want to be the VP of Marketing for a Fortune 500 company.’ I accomplished that in 12 years working my way up in the same company from an entry-level employee. One thing to be cognizant of is that if you are paid minimum wage for an internship and consider going back as a full-time employee once you graduate, you need to be very clear on salary expectations. What is acceptable in an internship capacity is not what you should expect coming on board as an employee. Just because you accepted a lower internship stipend has no correlation to your abilities or potential as a full-time team member. Do your homework while you’re in your internship. Get a sense for salary ranges by meeting with HR sometime during your internship and discussing salary ranges for various entry level roles you may be interested in. Salaries are negotiable yet typically ranges are established to keep a company’s salary and overall compensation package competitive in the market. Preparing by doing some due diligence on companies you’re interested by visiting GlassDoor.com and talking with other employees who have been with the company for a while while you are in an internship role, are smart moves. 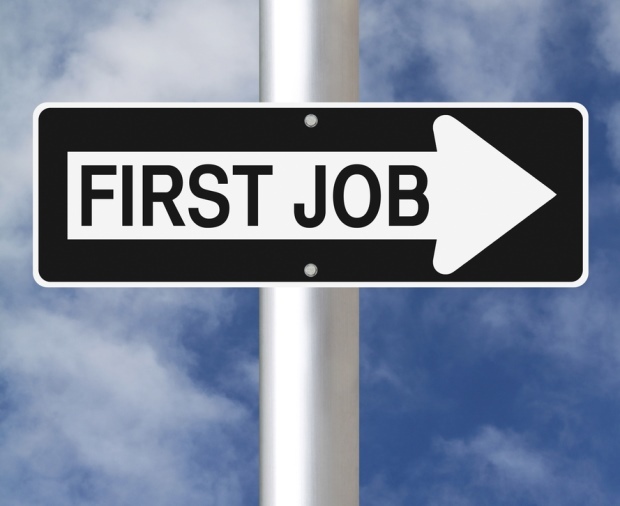 Finding a job may not be as difficult or as easy as you imagined. To improve your odds of making a good decision, be prepared. Finding out as much about a company as you can before accepting a role is vital to making a good decision. Remember, if you happen to make a decision that turns out not to be what you thought it would be, you have the prerogative to seek another opportunity. Gone are the days of company and employee deep loyalty. Both sides seem to have a mentality that represents ‘what have you done for me lately.’ This is simply a reflection of how work options, company cultures and entrepreneurial possibilities have shifted the relationship between company and employee. Many more choices exist today, which can be seen as both good and bad depending upon how you look at it. Nevertheless, when it comes to your internship experience, make sure you get what you need out of the time you invest. Internships are intended to help you experience and build practical skills in your area of study. This experience you will for sure use in the job market once you graduate. Getting a raise or salary increase requires finesse and some inside tips on how things really work. I worked my way up from an entry-level position, to C-Level management and have held many executive roles. I have been responsible for salary treatment for teams and individuals within start-up, small and large organizations. What I know to be true, regardless of the size or type of business, is that the process of explaining or communicating salary treatment is done poorly in just about every company and organization that I have experienced. The majority of the time, salary treatment is not even openly discussed, and increases come with little say or input from the employee. The fact is, once you negotiate your salary, you are at the mercy of the company and your manager or department head to fairly compensate you for great work. Given the years of experience that I have had in various organizations, the following are some tips that help lay the foundation for you to get the raise you deserve. They also can give you the clarity you may need to make a decision to move on from your current assignment as well. 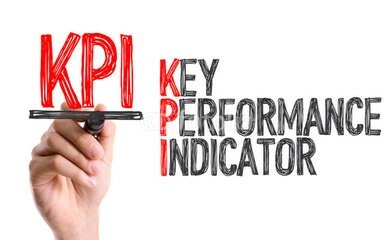 When you accept a new job or role, set Key Performance Indicators (KPIs) going into the new position. This sets the foundation for your performance goals in your role, and allows you to objectively know when you have hit or exceeded those objectives. This serves multiple purposes, it allows you to check-in on your performance on your own, as well as giving you a better chance at a more objective review once you get to that point. I have seen nebulous objectives set too many times. Objectives that cannot be measured make it difficult to determine whether they have been hit or achieved. Objectives that are not measurable or cannot be defined in terms of ‘what does success look like,’ are poorly written goals or objectives. Do your best to define goals with your manager’s buy-off that can show that you are a rock star or at a minimum performing successfully once you hit them. The other thing I will say is that even if you don’t have these set clearly right now, tell your manager that you would like to more clearly define success in your role. Not only does this show initiative on your part, it also gives you a foundation to defend yourself in the event you should need one. Ask your manager to walk you through how salary treatment is administered. As a member of their team and an employee of the company, you have a right to know management’s and the company’s philosophy toward salary treatment. This subject should be openly discussed as much as goals, benefits and the time-off policy. The fact that salary treatment is treated like such a taboo topic leads to as much frustration, resentment and employee turnover as having a poor manager. Given that salary treatment is not typically openly discussed, you will most likely have to take the lead. You can let your manager know that you would like to know how salary treatment is administered so that you know what to expect as an employee. This is a reasonable request. You can ask whether the topic of salary treatment is better explained by your manager or by Human Resources. Once you have that answer, you will know what direction to go. Do great work. It goes without saying that doing great work is a fundamental requirement to receiving a meaningful increase. You may find, which I have seen unfortunately, in some cases employees have done an outstanding job yet do not receive an equivalent increase. This fact makes Tip #2 that much more important. Employees too often put their financial trust in their manager or the company, only to be disappointed — even when they have done an outstanding job. 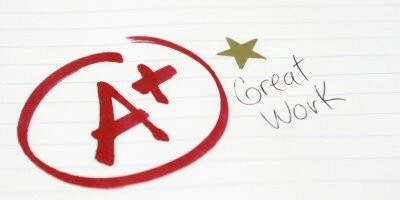 Document your success throughout the time leading up to the review period. I used to ask my direct reports complete the first draft of their review because as I told them that I was confident that they had a more detailed memory and documentation of all their specific contributions than I will likely have written down. I would then take their draft and add my perspective and additional comments to support their growth. I did this to ensure key contributions were captured and nothing was left out. Defining clear KPIs before you get to the formal review is crucial to an objective performance review. This is why defining KPIs as you join a company or take a new role within an existing company is vitally important. Waiting until you have already been in the role for a year to assess your performance against KPIs that were never formally set to begin with, makes an objective review extremely difficult if not impossible. Ask for the raise as part of the review process. This is where finesse comes into the mix. If you followed Tip #2 you have already had the discussion around the company’s salary treatment philosophy. If you did not implement that tip, you are at the mercy of whatever happens. The reality is that from my many years of experience, there is typically a pool of money that is allocated annually and allocated by team. 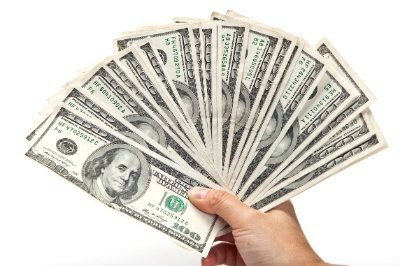 This money is then awarded within each team, by individual employee, based upon several factors. Most of the time, factors taken into consideration include individual employee performance, contributions above what is expected, where the employee falls within the salary range for their role, how long it has been since they received an increase, and whether the employee is at risk of leaving the company. 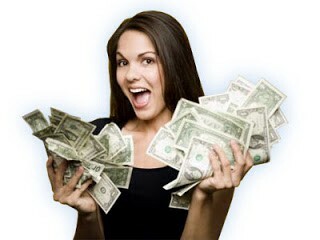 At times salary treatment may not reflect or be in proportion to the employee’s contributions. Be aware that ‘merit’ increases or ‘on the spot’ bonuses are sometimes awarded when an employee’s salary is not in alignment with what they have contributed. No one will tell you this openly, so ask about ‘on the spot’ and ‘merit’ increases when you discuss the company’s salary philosophy. In my next segment on salary treatment when you transition to a new role, new department or new geography, I will share the tips to get the most out of the transition. One of the biggest tips I can tell you is to not undervalue yourself, what you are worth, or what is possible. First, you need to recognize that working for or with a bully is a choice. You can change how you respond or react to your boss or co-workers, or get out of the situation. Second, if the option of getting out of the situation is not an immediate reality, the following can help you navigate the difficult waters of having a bully for a boss. If your boss or co-worker is new to you, and you are just discovering that they are a bully, the following will be helpful. If you have had a ‘bully’ for a boss or co-worker for some time, this will still help – and you may need to do some extra work to pull yourself up off the ground and dust yourself off. You must hold onto your inherent worth as a human being and contributor to the team or organization you are a part of. It may be helpful while you go through this period, or to reconnect with who you are, to read your resume and see all of the accomplishments and experience that you have. A boss or co-worker who comes at you like a bully is consciously or more likely unconsciously trying to put you down to give themselves a boost of confidence. They are insecure at some level about themselves, whether it stems from a childhood incident or an experience in the workplace. It doesn’t make anything that they do or say right or appropriate, but it can help put things in perspective. Once you are feeling attacked or antagonized by your superior, the natural reaction is to defend yourself. Sometimes that response looks like the child mode where we are justifying what we did or explaining our thinking. Often this causes us to talk faster and at a slightly higher pitch as we work to justify our actions or decisions. Just because they think something does not make them right or accurate. Slow down and think. Slow down your pace of speaking and ask a clarifying question. “From what I heard you say, you believe…..” This not only gives you time to think, it allows you to clarify something that you may have misread or misunderstood. If what you heard the second time is what you heard the first time, then you can buy yourself some time. Try saying things such as, “well I’m not sure I agree with you,” or “well let me think about that and get back with you.” The point is to not commit or agree with anything they are saying and to buy yourself time to think so that you can respond appropriately. Protect yourself and document what is said with each interaction. This will make it much easier to remember when and if you need to pull this out to refer to with HR or an attorney if it gets to that point. Become versed on the legal characteristics and description of a ‘hostile’ work environment. Stay alert to defamatory comments or remarks about anything non-work related that may be said to you. Bullying due to discrimination is never to be tolerated, just as bullying to be bullying should not be tolerated. Know that you do not deserve anything but authentic, open communication that is intended to help you grow as a professional, not tear you down. Anything outside of that is crossing the line of unnecessary antagonism and abuse. While a bully can make you shut down to their aggressive communication style, take a moment and separate the emotion from the feedback to filter through everything that may be said to determine if there is anything valid about the feedback you have been given. There may be a grain of truth or more in what they have told you about your performance, but if the delivery is hostile or over the top in tone, you could miss the whole message. Take whatever lessons you can learn from your experience navigating the waters with an abusive or unenlightened boss or co-worker. You will definitely learn how “not” to be when leading, guiding, mentoring or interacting others. Sometimes one of the best lessons is to learn how you never want to be, to prevent anyone else from experiencing what you went through.